The collection of botanical letters that Mikael Heggelund Foslie received on coralline algae during 1884 to 1909 is now available online on Gunnerus.no. This is a collection of nearly 2000 letters. 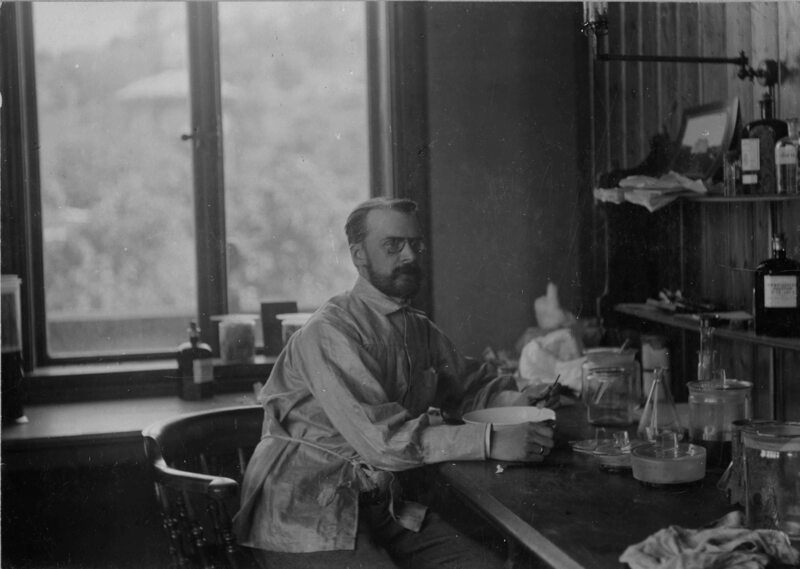 Mikael Heggelund Foslie was one of the most important international researchers on the systematics of non-geniculate coralline red algae at the turn of the 19th century (Woelkerling & Lamy 1998). During his career as an algologist, Foslie carried out extensive correspondence on an international basis with scientists from Australia, Japan, America and Europa. The letters strongly reflect the process by wich Foslie actively established an international network through which coralline algae were received and the fact that no other researcher had the opportunity to examine such a large quantity of corallines. He received coralline alga specimens for identification from all parts of the world, included material received from several major expeditions, for instance the Albatross Expedition to the Pacific, the Siboga Expedition to the Indio-Pacific region and the German Deep-sea Expedition to the South Atlantic with the Valdivia. From before, in 2005, his nearly 2000 letters have been analysed and the information categorized and published in a catalogue: The collection of botanical letters to Mikael H. Foslie in the Gunnerus Library: a catalouge, Gunneria 78. This printed catalogue is also available in an online version from NTNU UB. Coralline algae were initially placed in the animal kingdom with stalactite-like forms. In 1837 Philippi showed that calcareous algae without pores really were plants. Lime precipitates in or between cells. Coralline algae are frequently among red algae, and counts approximately 1600 species within the family Corallinaceae. Mikael Heggelund Foslie, was born in 1855 in Borge, Lofoten, and died in 1909 in Trondheim. He was trained and worked as a telegraphist in Lofoten 1874-1879. He was a hired curator at Tromsø Museum in the years 1886-1891, with responsibility for the botanical collection and mammal collection. He was appointed as a second curator of the botanical and zoological collection at the DKNVS museum in Trondheim in 1892, and worked there until his death in 1909. All taxonomists who work on coralline red algae know of the numerous publications authored by Mikael Heggelund Foslie. Foslie was regarded as the foremost world expert on crustose corallines during his lifetime, and corresponded extensively with colleagues throughout the world. This correspondence contains a great deal of information on various species that he described or dealt with and often helps readers of his publications to clarify his thinking about various taxa. The availability of this correspondence online will greatly facilitate present day work on the species he studied and will help to clarify many matters relating to the type and other specimens in his herbarium. It is most pleasing to know that this important resource will now be freely available. Thank you very much. Appreciate greatly the comment.